One of the region’s best-loved single tracks, this 14-mile loop gives you a tour of the Air Force Academy grounds. 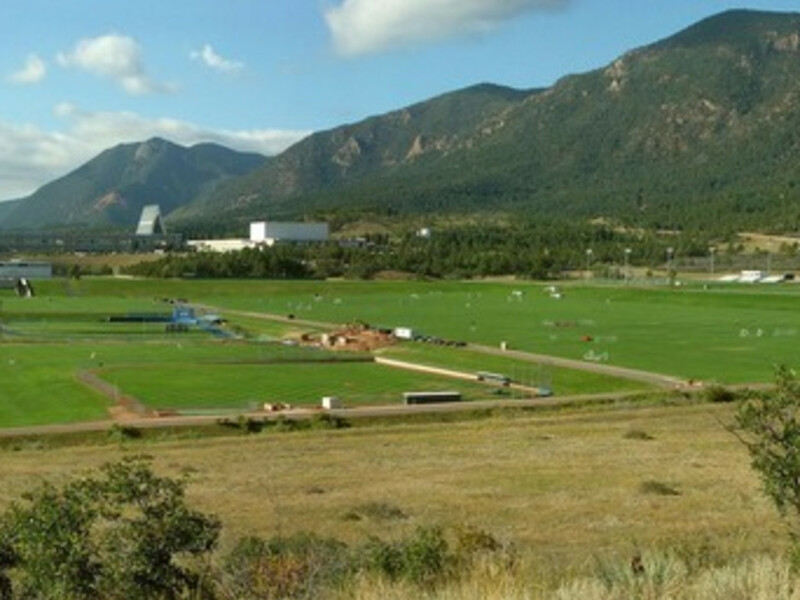 The Academy sprawls over 18,500 acres on the eastern flank of the Rampart Range north of Colorado Springs. Established in 1954, it is known as the training ground for American airmen and women. Locals also know it as the perfect setting for recreation, with miles of hiking and biking trails, and winding roads that are perfect for training on road bikes. The Falcon Trail was built in the early 2000s according to International Mountain Bike Association standards. It features single-track downhills, long, breath-zapping climbs and a few technical sections through wooded areas and high prairies make. Start at the parking area near the B-52 bomber mounted on a pole, and head south on Stadium Boulevard to Parade Loop (turning right). Up the road, Falcon Trail crosses Parade Loop, which is marked with white signs off the road. On the trail, turn left and head for the loop; you can go either clockwise or counter-clockwise. The highest point on this trail is about 1,400 feet up from where you started. Because this is on academy grounds, there might be times when you can’t get in. When it is open to the public, you have to enter the North Gate, which is guarded and your car may be searched. Trails on the Academy grounds are rarely crowded, and they offer a variety of terrain and views. And there are other sights as well – this trail includes a glimpse of a B-52. The iconic pointed profile of the Air Force Academy Chapel – the most visited tourist attraction in Colorado - is a distinct landmark. And once you leave the developed part of the academy, you can see a variety of wildlife, from Peregrine falcons to mountain lions. Once you experience Academy trails, you’ll want to return for more. Falcon Trail is one of several trails on the Academy grounds. The Santa Fe Trail that leads from Colorado Springs to Monument runs through here. Stanley Canyon and Farish hiking trials are popular among hikers, and head up to Stanley Canyon Reservoir and beyond to Rampart Reservoir near Woodland Park. From downtown Colorado Springs, take I-25 north. Take exit 156 (14 miles north of the city). To enter the academy, you’ll need a valid photo I.D. and your car may be searched. Bicyclists must wear helmets and reflective outerwear; group riders on the roads must stay in single file and ride with traffic. Security requirements may vary – for information, call the Visitor Center at 719-333-2025. Trails on the academy are open from 5 a.m. to sundown every day. A trail map is available at the visitor center. If you are planning on a side trip to the Visitor Center or the Cadet Chapel, you can’t have backpacks. According to MTBProject: Effective Jan 2015, the USAFA is enforcing a buddy-system policy (i.e. no rider rides alone) when using the base's trail network, including the Falcon Trail.